My search for comfortable flats has been chronicled in my blog extensively. It started when I was in pursuit of comfortable foldable flats. The search led me to the Gap’s City Flats, SM’s foldable flats and my eventual acceptance that my definition of comfort does not exist with foldable flats. My search evolved to simply looking for comfortable flats, sans the folding part. However, I finally gave in and decided to give foldable flats one more chance. Suelas and Posh Pocket Shoes have a massive following with clients posting rave reviews about them. I was deciding between the ballet flats of both brands but the Suelas ones felt “bitin” at the back of my food. You know the feeling that it doesn’t cover your back totally? How do the Posh Pointy Basics fair with my criteria? 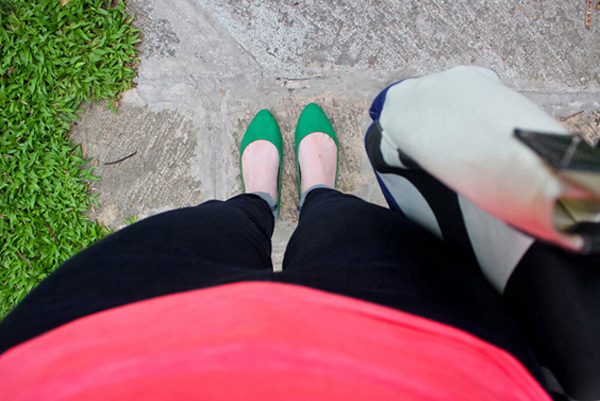 I never touched ballet flats before and preferred pointed shoes. I eventually gave in and loved round toe shoes. 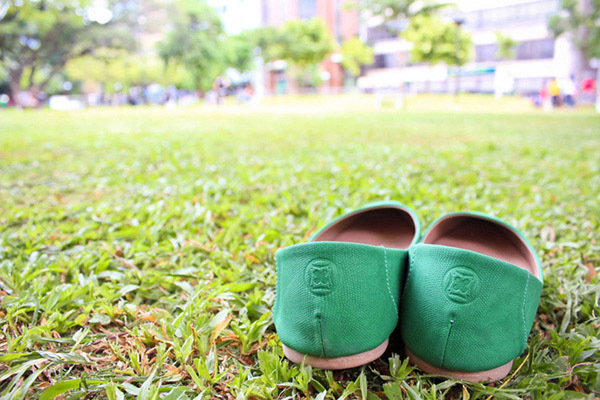 Imagine my giddy self when I saw these pointed flats in DLSU green! Pretty points, check. The soles of these shoes aren’t thin at all. Check! For foldable shoes, these are the comfiest pair I have compared to the Gap and SM foldable flats I have. Seriously. However, after using them for 8 hours, my feet felt tired in them already. It lacked the arch support that some of my “can-walk-in-you-the-whole-day” shoes. My Pointy Basics were P899. For this category I’m a bit conflicted. Compared to my Anthology and Toms pairs, these Poshies are cheap. However when I think about the comfort I experienced, it made me scratch my head. Yes they were comfortable but not to the extent I needed. I also noticed that after 3 uses, the pointed part already had creases. This pair was so pretty, I felt like if I used this “pang harabas” it wouldn’t make it. Despite the price, I’ve used my Toms in epic travel adventures and work shoots. My Anthology pair has been used for a day of errands in the city which required a lot of walking and it survived. These Poshies are a pretty pair of shoes that needed pretty occasions to be used. Meaning not too much commuting, puddles, etc. I don’t even fold my Poshies because the soles would touch the inside and would make it dirty. Thus for value for money, I’m on the fence. In conclusion, in terms of foldable flats this one is a winner. However in terms of flat shoes in general, my Toms and Anthology shoes still rein supreme in terms of comfort and all day walking. If you’re just looking for a pair of exquisite looking shoes and don’t have plans of “making it harabas”, Poshies is a good brand to check out. They have a lot of adorable styles like Pointy Bows and Belgian Loafers.